Trick or Treat... My favourite piece of pie to beverage to celebrate Halloween with. 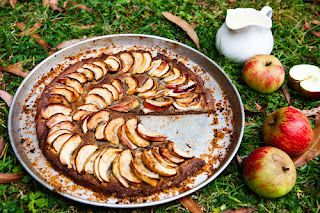 Our gluten and grain free tart pastry- a combination of ground almonds and coconut flour with proper butter to bind it. The result is a crumbly, biscuit base with a sweet, flavour - a perfect complement to the apples. 1. 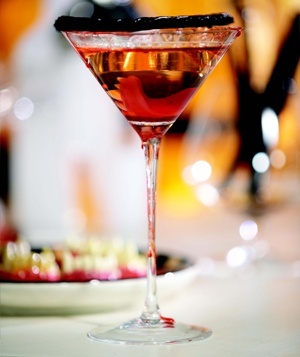 Layer raspberry liqueur, vodka, and Champagne in a fluted or martini glass. 2. Garnish with wax teeth, candy corn, licorice, and/or blood orange slice.